This cannot be viewed as just the problem of the Pradhana Archakas and their compulsory retirement by the Tirumala Tirupati Devasthanam (TTD) under the TDP Government. This is the problem of Sanatana Dharma. The allegations made by a good family friend and a respected Pradhana Archaka, Sriman Ramana Dikshitulu. And the personal attack on him by vested interests, instead of addressing the issues raised by him. The Paid Print and Electronic media that cozied up to the TTD and the government for the benefits of special darshan tickets that could easily be sold for a hefty premium and special prasad handed out by the officials of the TTD. More importantly, the muted response of the Hindu Samaj to such blatant abuse of power and disregard for sacred rituals that are to be performed by the Archakas as per the Vaikhanasa Agama Sastra and as ordained by Sri Bhagavad Ramanuja. This cannot be viewed as just the problem of the Pradhana Archakas and their compulsory retirement by the Tirumala Tirupati Devasthanam (TTD) under the TDP Government. This is the problem of Sanatana Dharma. This article does not deal with whether the compulsory retirement of the Pradhana Archakas is correct or not. In my opinion, it is WRONG and that can wait for a separate article. But, there are certain things that the public should know. They offer their services on a yearly rotational basis. They are not employees of the TTD. They don’t get paid a salary to discharge their religious duties. They were performing as a Kainkaryam to the Bhagawan. For many years, they were getting “Rusumu” as Income, which was their hereditary rightful share of the Pujas performed. When the proposal to abolish this Archaka Mirasi system was introduced, they fought valiantly in courts and took their case to the Supreme Court (SC). As a step to mediate between the Archakas and the TTD, the then E. O. Sri I Y R K Rao and the Dharmika Parishad (There is no Dharmika Parishad now) made the proposal that the Archakas should withdraw their Petition in the Supreme Court and as their existing rights and honour was upheld by the SC which was under Section 142 and the Amendment was made by the AP legislature in 2007. The SC allowed the withdrawal of the petition with a note to the TTD Board that they should hear out the Archakas. This hasn’t been heard till date. Under this mediation, the Pradhana Archakas even agreed to forego the “Rusum”, which was a princely sum, to retain their right to perform the Archaka Kainkaryam as the Pradhana Archakas of the Mandir. Many would be surprised to learn that these Pradhana Archakas are not employees, hence do not get any salary/ wages/ bonus/ leave/ medical benefits that the TTD pays to all its secular employees and other non-hereditary Archakas who have accepted employment with the TTD. Pradhana Archakas did not want to be employees. The Pradhana Archakas were paid a token “Sambhavana” based on the days and the daily rituals/ kainkaryam they offer. 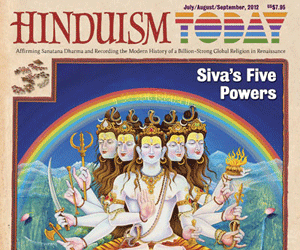 There were two clear attacks on Hindu Dharma in the last two decades. The first one was on the Kanchi Matham. The Hindu Samaj’s response can best be described as muted. Barring individual efforts by Hindu Bhakts, there was very little to write on the response from the so-called Hindu organizations, Sadhus, and Sants. We let down the Acharyas. The Acharyas are NOT individuals. They are Institutions. Collectively, as Hindu Samaj, we let down Institutions that were built successively for 2500 years of service to Sanatana Dharma. We failed the Sanatana Dharma. 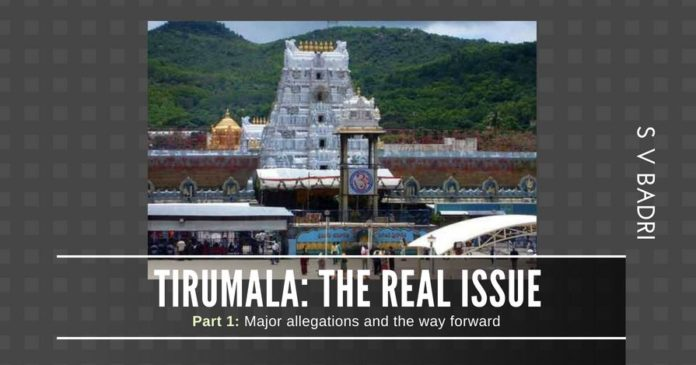 The second one was the attack on the Pradhana Archaka of the Tirumala Tirupathi Mandir, the Mandir’s rituals and its wealth, another instance where we are seriously found lacking in response as Hindu Samaj. When someone as learned as Sri Ramana Dikshitulu (He is not only a Ph. D. in Molecular Biology, the learned Pradhana Archaka, but also an expert in Vaikanasa Agama, the tradition followed in the Tirumala Mandir along with Pujas as ordained by Srimad Bhagavad Ramanuja), raises concern on issues like interference by the Politicians, Board Members, TTD employees in the day to day rituals, one needs to take note of and find ways to rectify the situation, if something is seriously wrong as alleged. When he says that the yearly audit of jewellery is NOT being carried out, should we turn a deaf ear and carry a smear campaign on him, slap defamation cases on him or look into it with utmost sincerity? There is a constant interference from the TTD Management in the rituals performed for the Bhagawan. To give an example, according to him, there have been instances when the TTD officials wanted the Archakas to perform Suprabhata Seva for VIPs at midnight when that is NOT the time to wake up the Bhagawan. There are times when there has been constant pressure on the Archakas to conclude the Thomala Seva in the most abridged of forms. Various Sevas have been shortened either to accommodate the appointments of various VIPs or as a convenient excuse of crowd management. The Temple Potu where the Anna Prasadams are made for Naivedyam of the Bhagawan – The sudden repair works undertaken without the consent of the Pradhana Archaka, who is also the Agama Advisor for the TTD, the granite slabs on floor and walls dug up and replaced, more importantly, the Prasadams made “outside” totally violative of the Sastras and in much lesser quantities than prescribed as the right quantity for Naivedyam, for little over ten days, all lead to suspicion that everything is not as sweet as the Laddu. The TTD hushes it up with a favourable statement from their poor Potu employees who make these Anna Prasadams, as a means to deflect the truth. 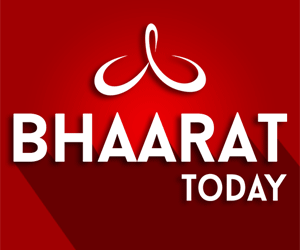 The Pradhana Archakas who work on yearly rotation basis had the practice of making an open audit of Bhagawan’s jewels, including gold coins and loose diamonds, rubies etc., and then hand over the charge to the incoming Pradhana Archaka. This was done in the presence of the TTD officials. This practice has been stopped since 1996. The serious allegation made was that when the Pradhana Archaka asks for a certain jewellery endowed by Rajas like the Sri Krishnadeva Raya for Alankaram of the Bhagawan on certain auspicious occasions, they would never receive the jewels requested. The Bhagawan has to adjust with what the secular TTD officials hand out for His Alankaram. The purpose for what the donors of yore had given such ornaments is conveniently set aside. That raises a very serious question. Are these jewels still there? Here is why this question is relevant. When a new donor wants to make an ornament for the Bhagawan and approaches TTD, based on the budget of the donor Bhakt, the management conveniently gives him a design of an existing old traditional jewellery. Thus, a second and more recent jewel starts making its appearance on the Bhagawan while the age-old precious jewel is supposedly sent back for safe custody to the vaults. Are both such jewels available and safe?